Andr?s Torres Segovia, 1st Marquess of Salobre?a (February 21, 1893 ? June 2, 1987), known as Andr?s Segovia, was a Spanish classical guitarist from Linares, Ja?n, Andalucia, Spain. 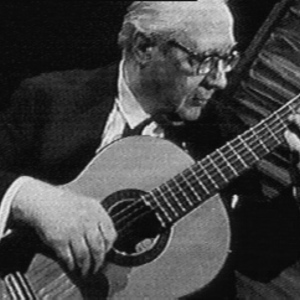 He is widely considered to be one of the finest classical guitarists of the 20th century - and one of the founders of what we now consider "Classical Guitar" Segovia is credited for his modern-romantic repertoire, mainly through works dedicated to him by modern composers, but he also created his own transcriptions of classical works that were originally for other instruments.